Fish are not only tasty and nutritious, but also increasingly at risk. Overfishing is causing fish stocks to drop around the world. The EU aims to promote sustainable fishing in Europe as part of its common fisheries policy. This week Parliament's fisheries committee votes on important agreements with Liberia and Mauritania and looks at how to improve the situation in the Mediterranean. Overfishing continues to pose a threat to fish stocks throughout the world. In Europe the situation in the Mediterranean is proving problematic. In 2013 424,993 tonnes of fish were caught and 96% of bottom-living fish and 71% of middle-water stocks such as sardine and anchovy are currently overfished. However, the success of policies to overcome this issue in the Atlantic, where overfishing dropped from 86% in 2009 to 41% in 2014, shows there is still hope for the Mediterranean. Parliament also support sustainable fishing. On 18 April the fisheries committee voted on a multiannual recovery plan for bluefin tuna in the Atlantic and Mediterranean, a sustainable fisheries partnership agreement between the EU and Liberia as well as an agreement with Mauritania on fishing opportunities and a financial contribution for four years. 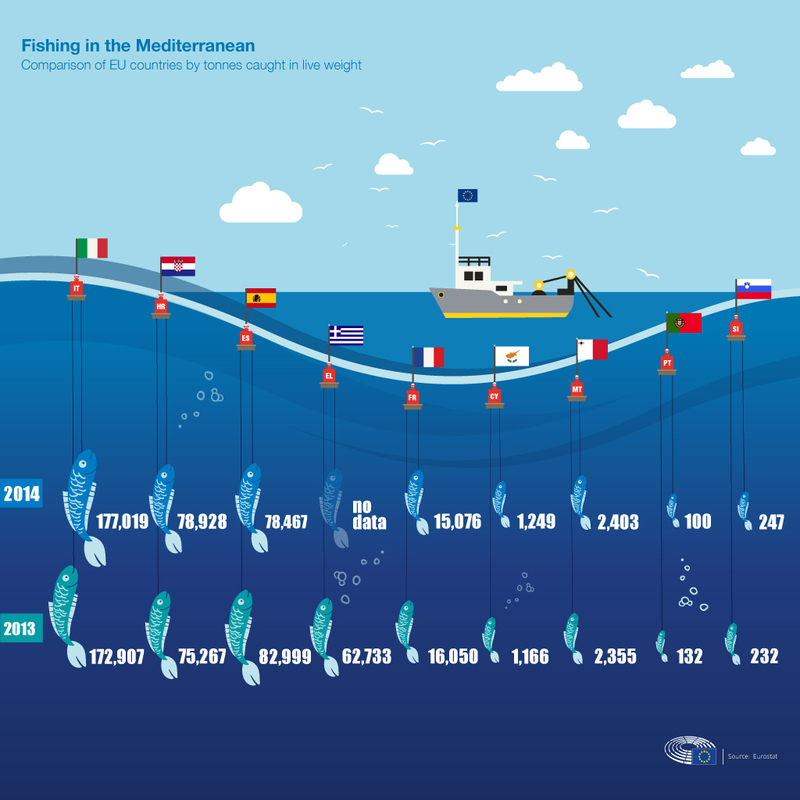 In addition the fisheries committee holds a hearing on 19 April on fish stocks and the fishing industry in the Mediterranean. MEPs are to look at the factors that have affected stocks, such as pollution and climate change, and also examine the socio-economic aspects of the fisheries sector.